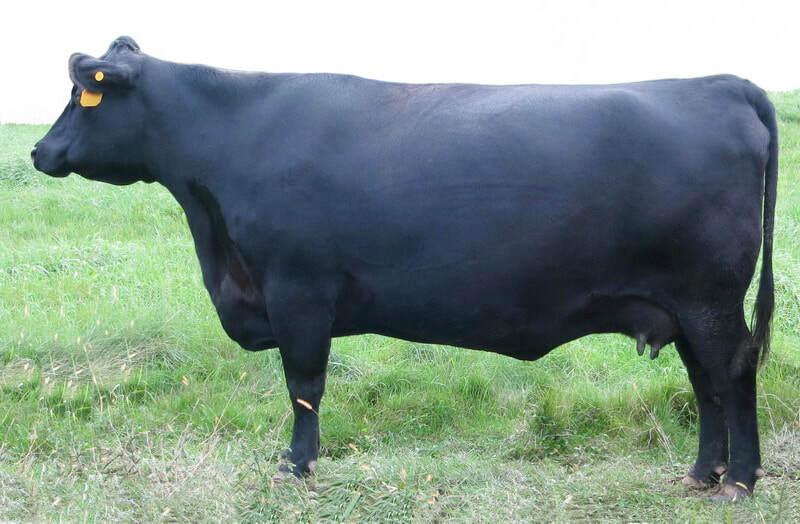 His elite Pathfinder pedigree parades 5 generations of Embryo Donor Cow influence from our Best-In-Herd donor dams going back to the easy-fleshing C F F New Design 036. 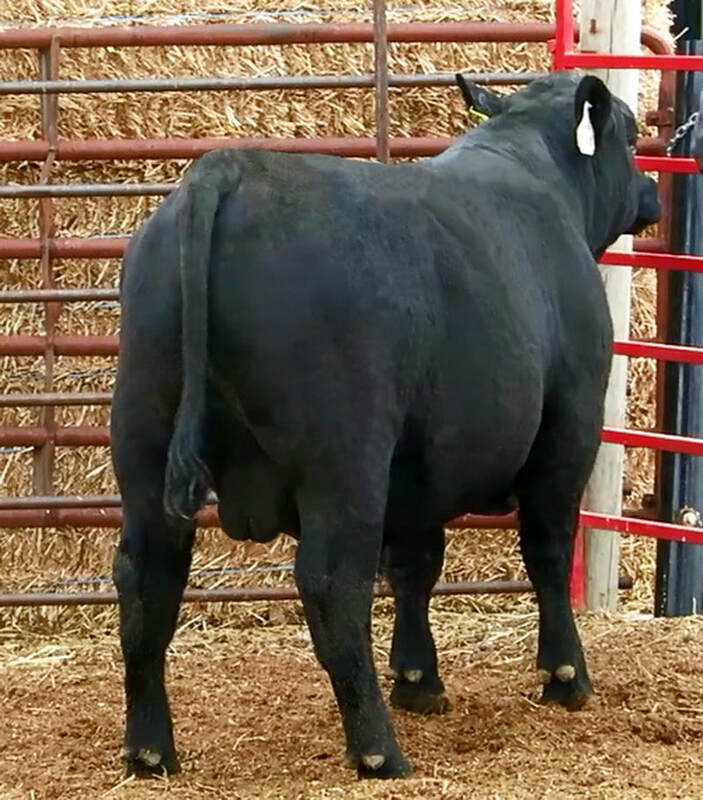 #1 highest gaining bull from our 2017 calf crop. His siblings dominated their herd-mates with an Average Weaning Ratio of 110 and an Average Yearling Ratio 109. 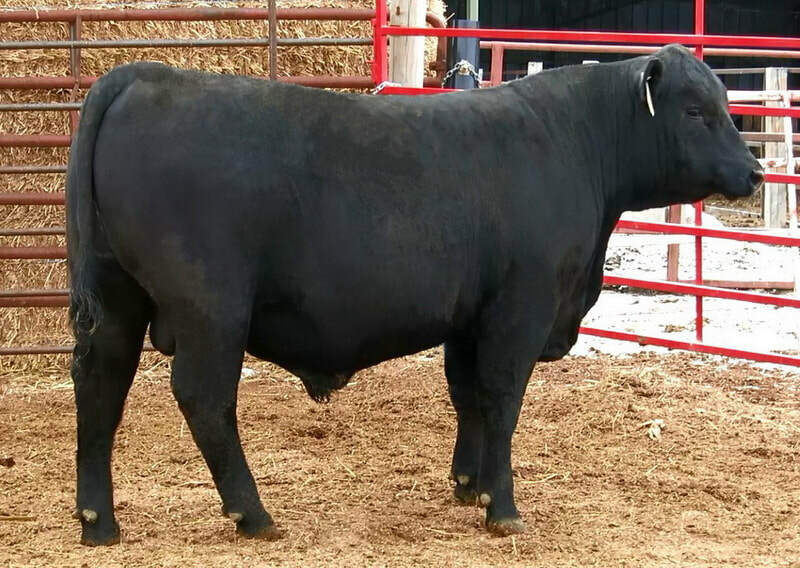 Carrying on the high-performance family tradition, this bull weaned at 783 pounds earning a 112 Weaning Ratio with a 1353 pound Yearling Weight to earn a 106 Yearling Ratio. Here is a deep bodied power-bull from a cow family that puts style and performance ahead of everything else. 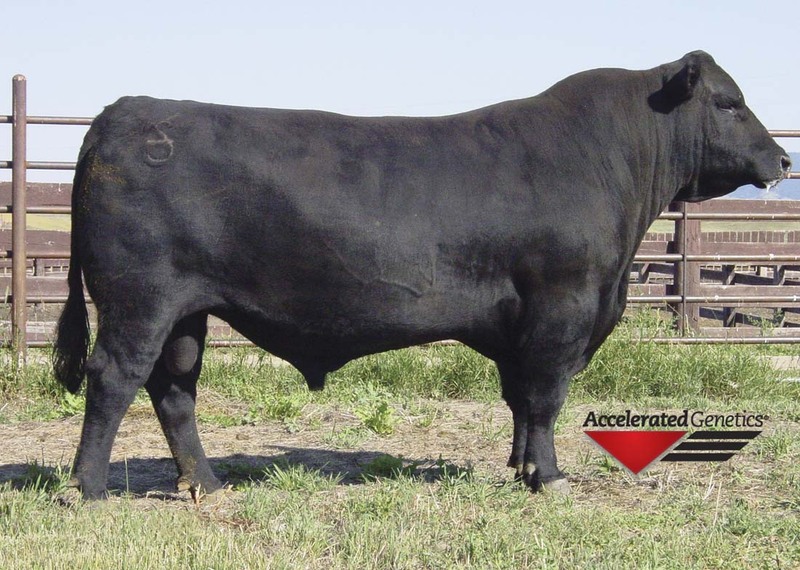 He should produce fast gaining profitable feeder steers but his real value will be in the replacement heifers you keep. 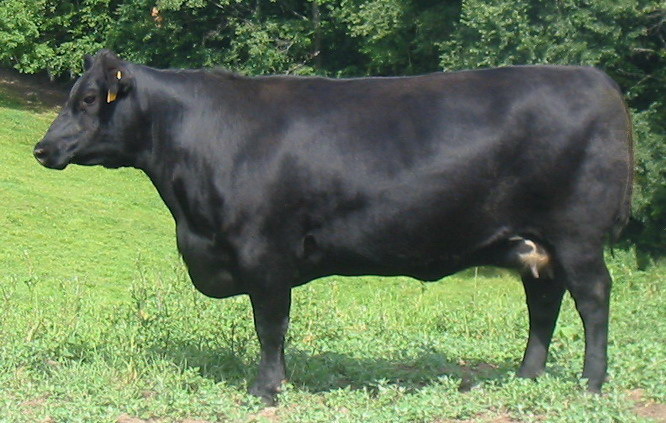 Actual Birth Weight: 79 pounds. 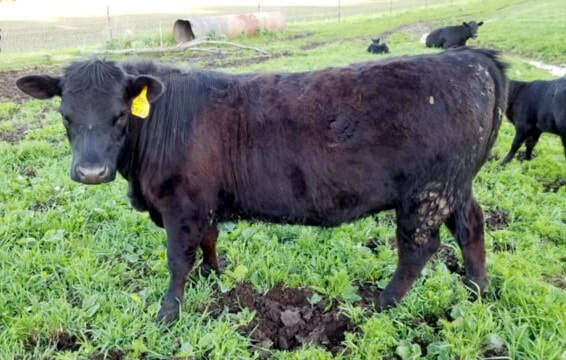 Click Here for latest EPD's. 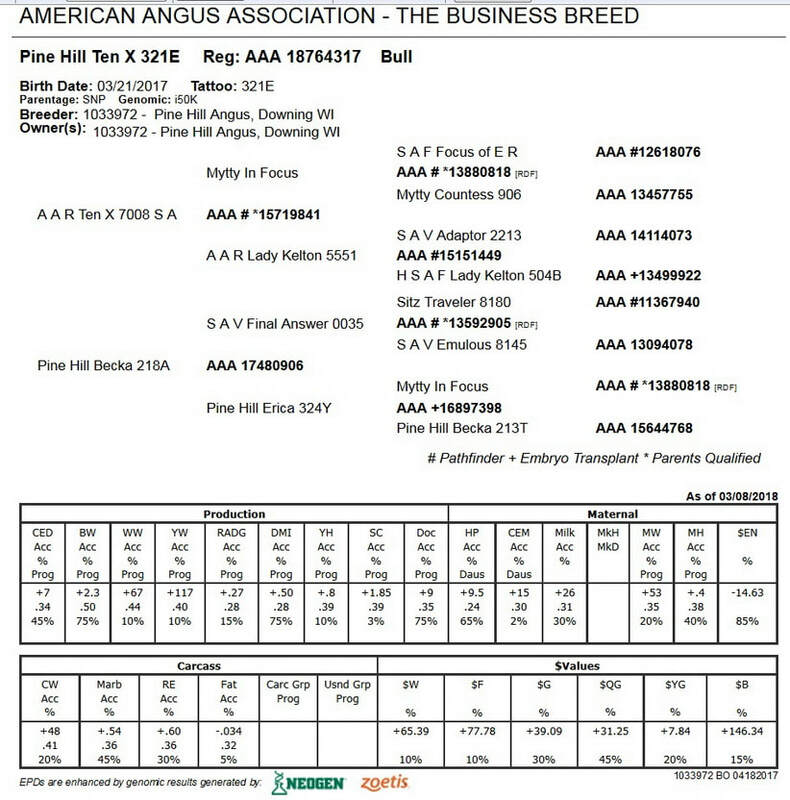 Goes to American Angus Assoc. 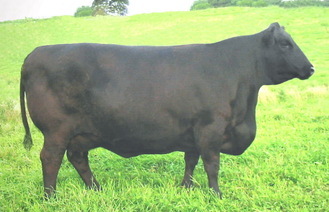 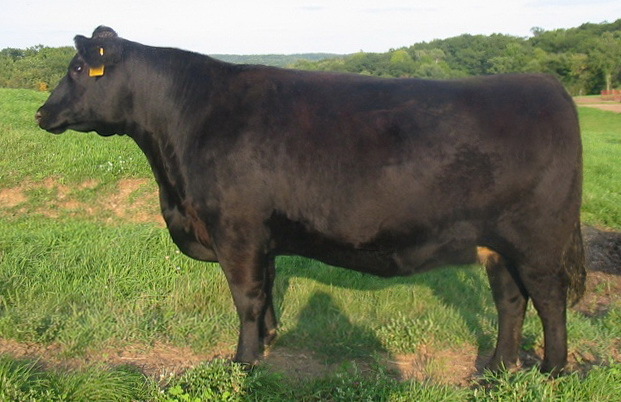 then click "search"
(Embryo-Daughter) GREAT GREAT GRAND DAM: Pine Hill ET Carol 226R.